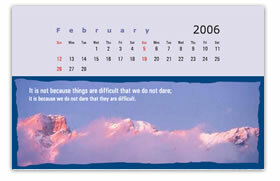 Size : Width 8.25" x Height 5.5"
These desk calendars are ideal for an office table. They are handy and useful, each page for the month depicting a different animal/bird/butterfly/landscape. 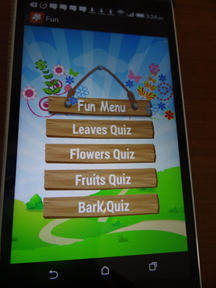 We work on all these four themes to customoise an exclusive calendar for you. We use wildlife photographs and landscapes selected from our vast collection at http://www.wildscapes.net. We use excellent quality paper and stand and each calendar is bound with imported wiro for that elegant and sturdy look.